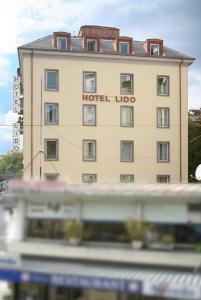 The Hotel Lido benefits from a privileged location right in the heart of the Geneva, 300 metres from the beautiful shores of Lake Geneva and from the main Cornavin Train Station. Free WiFi is available in all rooms. All rooms are soundproofed and feature an LCD TV. Start the day with a buffet breakfast before you set out for doing business or sightseeing in Geneva. Parking facilities can be found around the Lido hotel. The Geneva Transport Card valid for the entire stay is provided free of charge.